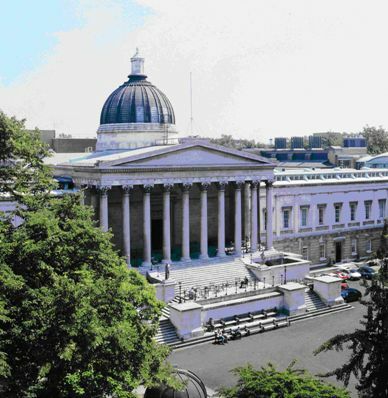 The 7th CoLIS (Conceptions of Library and Information Science) conference was held at University College London between 21st and 24th June. As Programme Chair, I am bound to be biased, but, after leaving a decent period for reflection, it seems to me that it was a great sucess. Participants have been kind enough to use words like ‘successful’, ‘excellent’,’inspiring’, ‘stimulating’, ‘very fine’ and downright ‘great’. As I said in my closing remarks, the conference was unusual in my experience in that (1) every speaker turned up, and spoke their intended topic, (2) every poster presenter turned up, with a poster, on the right day, and (3) every session chair ran their session to time. Doesn’t often happen like that. Accounts of the conference have been given by a number of bloggers, including Charlie Mayor, Sheila Webber and the Information Literacy Research blog. Over the next couple of months, we will be populating the conference website with copies of papers and posters, and links to published papers; the site will then remain available for the forseeable future. The next, 8th, CoLIS conference is already being planned, to happen in Copenhagen in August 2013. A website is already operational, and announcements will be made on Twitter using the hashtag #colis2013.